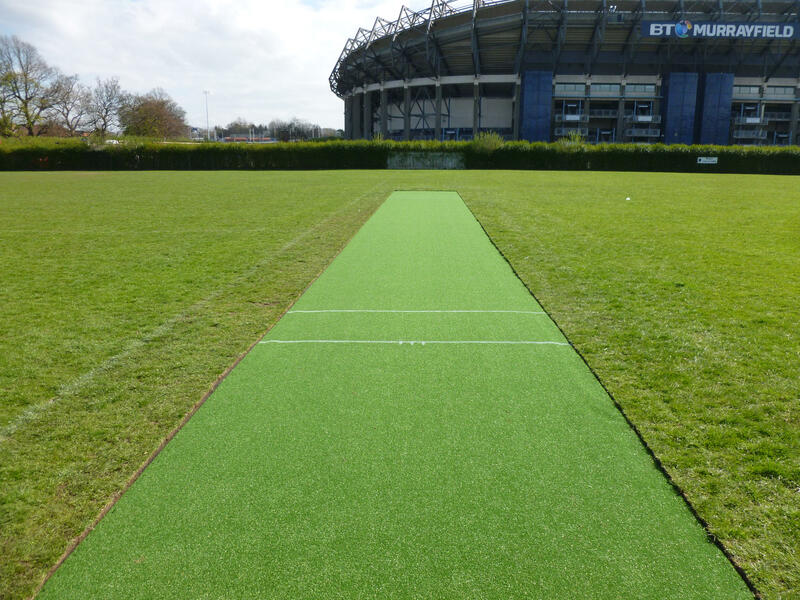 We supply artificial grass to homeowner and commercial customers throughout Scotland who are looking for artificial grass suitable for playing sport on that is of the highest quality from an experienced team who can carry out installation quickly and efficiently, with minimal disruption at competitive prices. Artificial grass has a long history in sport, dating back to its first well-publicised use by the baseball team Houston Astros in 1966, wich is where the name ‘Astroturf’ comes from. Since those days artificial grass has come a long way and is much more widely used and accepted in sport at the top level, including many sports clubs and a variety of football teams throughout the world, this is all down to advances in the quality of the artificial grass, making it feel natural and comfortable to play on. If you are looking to play or practice sport on a regular basis, whether it be in your own garden or on a sports field, it can take its toll on the surface causing it to become damaged and deteriorate in quality. With artificial grass this is no longer a worry as it can stand up to repeated and consistent use without deterioration. Artificial grass is particularly useful in the wetter and colder months during which natural grass may become a muddy mess if used for sport or freeze over and become unplayable. Artificial grass is permeable and allows water to flow freely through, meaning flooding is averted and water is less likely to sit on top and freeze. As well as being a fantastic surface to play on, artificial grass is extremely easy and far cheaper to look after. With natural grass there is the cost of machinery to keep it tidy and the chemicals required to keep the grass in good condition and weed free, not to mention the man hours required to carry out this work. With artificial grass all of these worries are put aside, leaving you free to enjoy your fantastic playing surface. Our team of artificial grass specialists seek to understand each customers specific requirements for their sports area, whether it is for a home garden or a commercial endeavour, in order to create the design and find the artificial grass that suits them best. Installation is undertaken at a time that suits you and will be completed in a timely and professional manner so as to minimise disruption while maintaining our high standards.